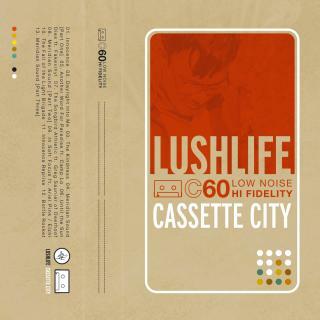 Lushlife's Cassette City is on #8 of Best HipHop albums of 2009 on Amazon mp3. Visit amazon.com. 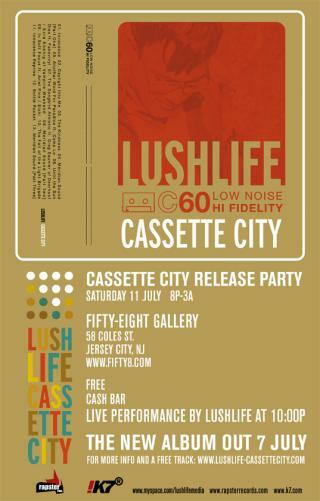 on July 11th at 58 Gallery (www.fifty8.com/) in Jersey City, NJ from 8pm to 3am. 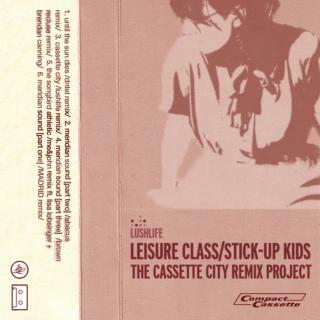 Lushlife will be performing a short set at 10pm.